If a film’s premise involves a group of people, space, and a hostile alien, it will be compared to the 1979 classic Alien. The new sci-fi thriller Life will draw plenty of comparisons. In place of Ripley and the crew of the Nostromo, Life involves a crew aboard an international space station collecting samples from a Mars space probe. In those samples, Hugh (Ariyon Bakare) finds a life form. It’s the first proof of life outside of Earth. Studying the alien takes a turn for the worst when it starts to display unbelievable strength, intelligence, and a propensity to kill anything it comes in contact with. Trapped on the space station with an alien that’s growing every second, the crew scrambles to find ways to kill it before it makes it to Earth or they’re all wiped out one-by-one. Just like Alien, everyone is having a good time when this evil alien decides to show its true colors aka reveal that it’s a serial killer in space. And like the classic film, when the alien comes out of hiding, it’s much bigger than the last time they saw it. There isn’t anything more terrifying than a threat that keeps growing. Unlike Alien, the characters don’t really matter. The characters that occupy Life are just lambs being lead to slaughter. Once the alien is on the loose, their only function is to look scared and die as cool as possible. There aren’t any interesting characters or relationships developed to make the “emotional” moments pay off. 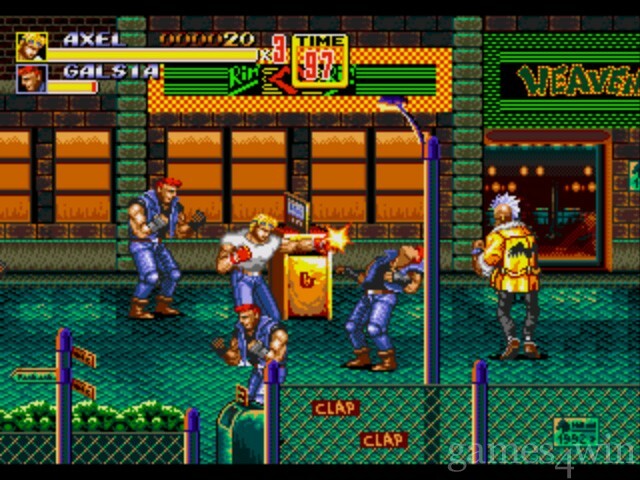 They remind me of playing Streets of Rage 2 – the scientist are the nameless guys with red Mohawks and denim vest that run up to your character just to get beat down. It was never important who they were because they were just punching bags. They might as well have red Star Trek shirts on. The design and function of the alien is original. It looks like a starfish and moves like a snake. The alien’s translucent skin makes it look ghostly and very creepy. It was quick, strong, and slithered around objects with ease. What abilities the alien did/didn’t have or its level of intelligence is never explained. That allows for the story to do whatever with the alien’s powers and conceive different ways to kill people. Life is presented as a deadly serious sci-fi story, even with all the ridiculous stuff that happens on screen. The world’s best and brightest are no match for an alien during their deadly game of hide-and-seek – they’re constantly outsmarted and on the defensive. The cast of great actors is wasted since the story doesn’t call for any real acting. For a fraction of the price, they could’ve cast me as Scared Scientist #1 instead of Ryan Reynolds. Go ahead and laugh, but would the movie be any different? No. At a little over 90 minutes, Life gets right to the story and the killing. It’s not smart sci-fi or a new take on an old genre. Life is a big budget SyFy film about how curiosity can kill more than just cats. As shallow and predictable as the story is, it’s an authentic alien horror story that never deviates from traditional sci-fi horror tropes. It has some tense moments and is surprisingly entertaining Fans hoping to see a new version of Alien or a smart sci-fi story will be disappointed. Fans hoping to see an alien methodically dismantle helpless scientist will be in for a treat. Posted in Reviews and tagged Alien, Hiroyuki Sanada, Jake Gyllenhaal, Life, Olga Dihovichanaya, Rebecca Ferguson, Ryan Reynolds, sci-fi. Bookmark the permalink.